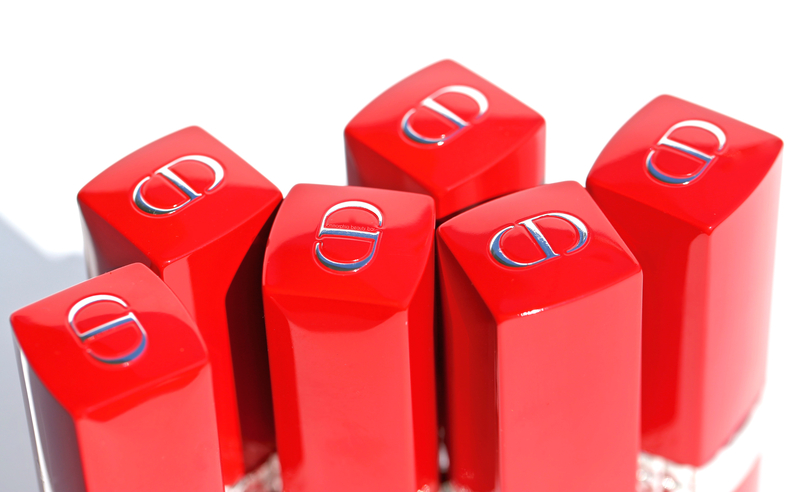 Dior has just upped the lipstick game with the recent launch of Rouge Dior Ultra Rouge — a range of 26 long-wearing shades housed in covetable red lacquered casings, along with Rouge Dior Ink Lip Liner — a hybrid lip product that just might be masquerading as a pen (not really, but still …). 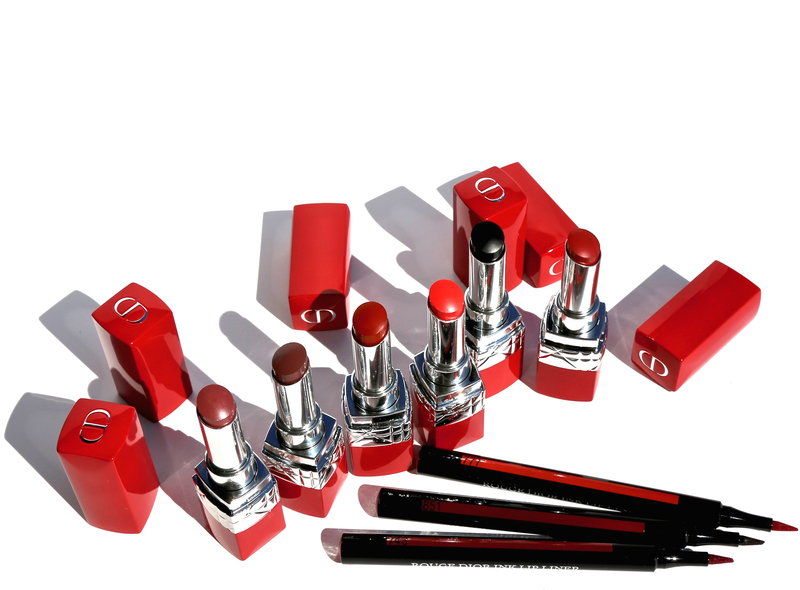 Gorgeous exteriors, innovative formulas, killer colours … what more does a girl need? Rouge Dior Ultra Rouge (CAN $43.00/each) | As stated in my opening paragraph, it’s the WOW factor of the red lacquered cases that will get you first — until you give the formula a go, that is. Created to provide up 12 hours of comfortable wear, these are not your run of the mill long-lasting lippies; with a formula that boasts a super high concentration of pigments, they almost feel like a balm upon application (they’re THAT creamy) and come to a satiny finish. It goes without saying that the lighter hues won’t have the same longevity as the darker shades, and due to their emollient texture you’ll probably need a touch up (especially after eating/drinking), but they all leave a nice stain behind even after most of the colour has long gone. What amazes me, however, is that you get full coverage even from the first swipe, while lips feel continuously nourished throughout the wearing. On a side note, when I began swatching these shades, I hadn’t realized that 111 Ultra Night 47 (along with 000 Ultra Bright 47, not shown) is somewhat different than the rest. Yes, this shade can be worn solo as seen in my swatch — great for those who prefer sporting more of a statement lip, but the real magic lies in its transformative ability: layered over any other shade, it creates a new shadowy dimension for a completely customized colour. 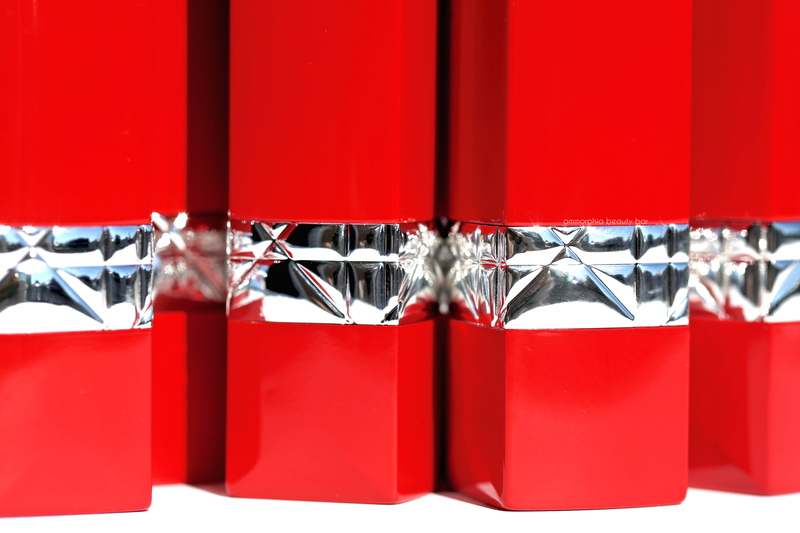 It’s all in the details; the brilliant lacquer with its cannage-patterned silver band is evocative of a true Dior icon: the colour red has been emblematic of the House for decades. 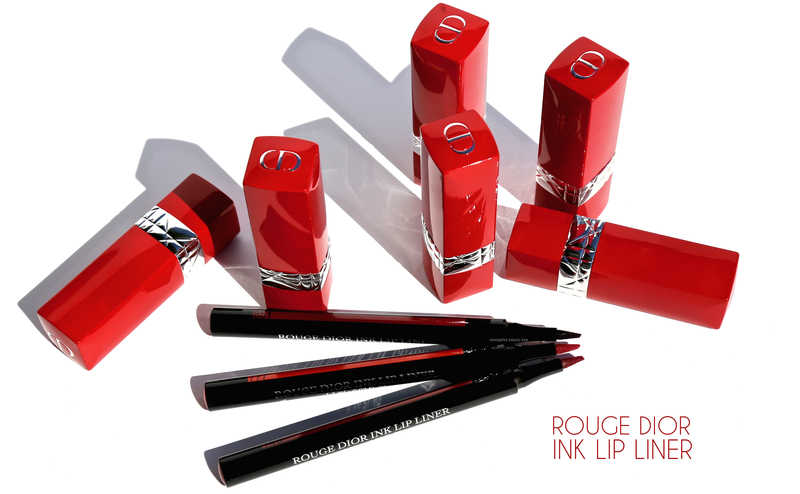 Rouge Dior Ink Lip Liner (CAN $36.00/each) | In a nutshell, these are Dior’s first liquid lipsticks housed in a felt-tip pen format. 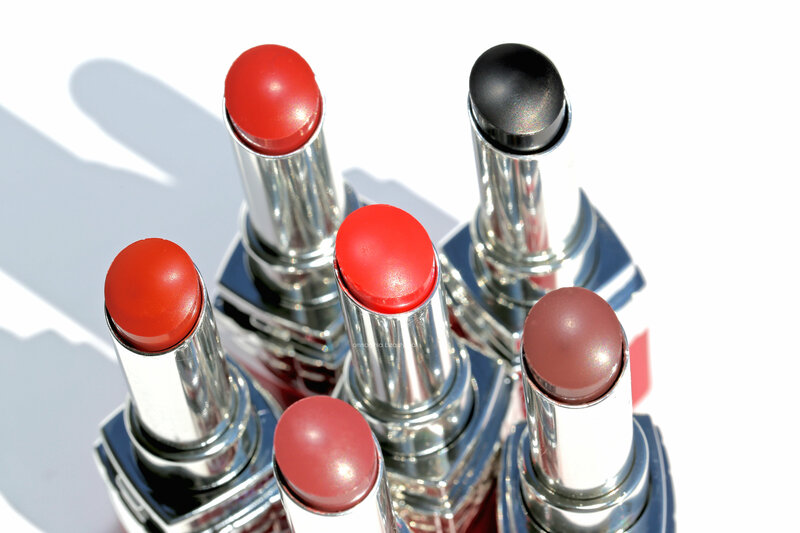 Each boasts a high level of pigment for saturated colour, providing up to 12 hours of wear. They’re also unique in how they can be used; the tip is fine enough that it can be used in traditional liner fashion, although very fine precision lining might be somewhat of a challenge for some. You can also apply them to the lips using the wider portion, for effortless all-over coverage and an “ink-like” effect i.e. : long-lasting stain power. Or finally, you can layer these liners under a matching lip shade to increase longevity and depth of tone for both. A nice perk is their pen format, making these exceptionally travel-friendly as well. As can be seen in the swatch below (I opted to show them swatched on my inner arm as opposed to on the lips, in order to show their true application), there appears to be some ‘bleeding’ along the outer edges, but keep in mind that this isn’t something that’s apparent when worn as all-over lip colour. I forgot to ask a question on my previous comment. These are advertised at matte, however, they don’t look matte in the swatches. Do you recommend 600 Ultra Tough and does it apply too matte? This is Dior’s version of matte which in reality is more of a velvet/velour finish. As to recommending this shade, if the colour attracts you then I certainly say go for it! I’m also thrilled that it’s not a true matte, as this means it’s way more comfortable to wear! Color 600 Ultra Tough looks gorgeous. Did you use a liner or anything else or is this the true color of the swatch? Beautiful swatches, Eugenia! You didn’t mention your favourite Ultra Rouge….I was scrolling up and down the post. 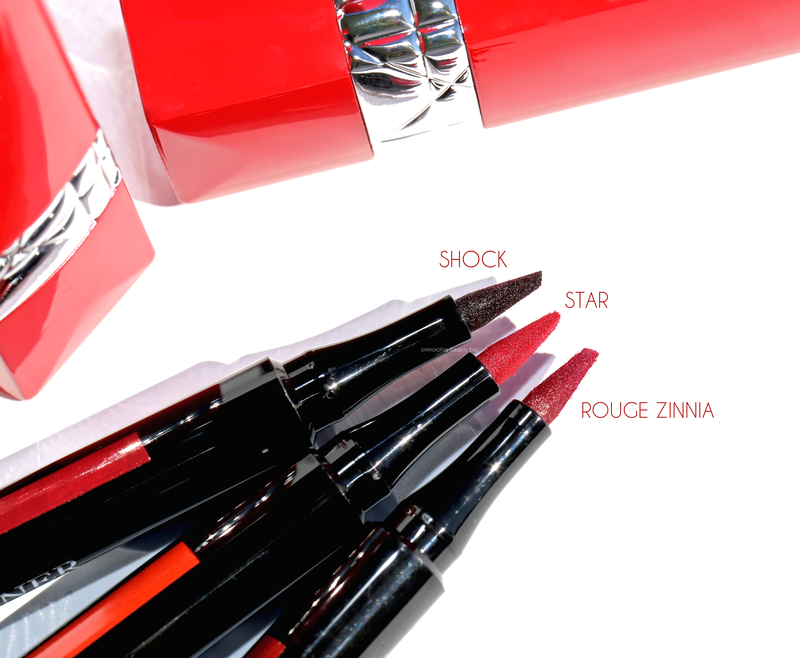 Ultra Trouble and Ultra Spice is right up my alley but there’s something about Ultra Fire….smoothen the lines on your lips from the photos. I made a mental note to stop buying lipsticks, before I read this review as I can’t finish up what I received last Christmas…yet…and with a blink of an eye, it will be Christmas again. Our local beauty blogger also tempted me with Chanel Rouge Allure Velvet latest collection for FW and that’s my favourite range too…I’m in trouble ? Thanks for the kind words – it’s always appreciated! As to my favourite, you basically hit the nail on the head: Ultra Fire is amazing!!! I have such a weakness for coral based red and this one feels as good as it looks! Oh, and I feel for your wallet — it seems like we blink, and brands are launching yet another incredible group of products!!!! ? These look so beautiful! I need to try more Dior.